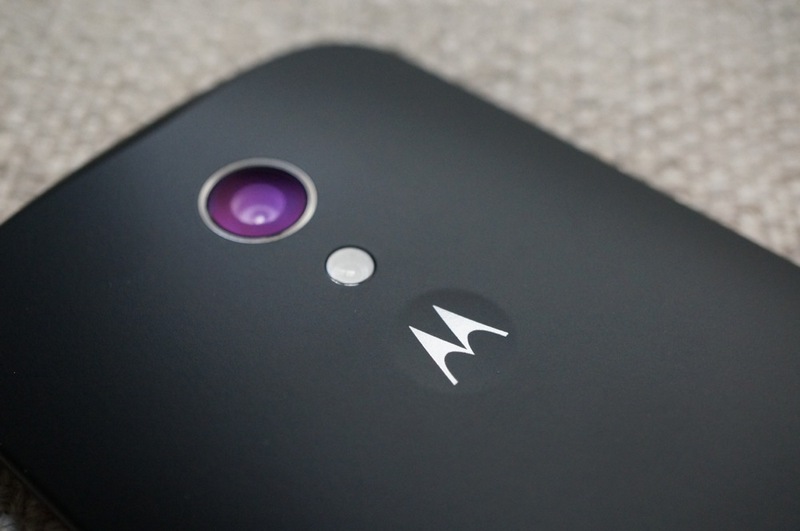 Shortly after Google announced Android 5.0 “Lollipop,” Motorola was quick to begin pushing an update of it out to the Moto G (2nd gen) and Moto X (2nd gen) “Pure Edition.” The update most definitely made its way onto the Moto X, as we went hands-on immediately and have since been running it for months. The Moto G, on the other hand, may not have been receiving it for long. Our readers have been vocal in letting us know that the update stopped almost before it began and few had actually received it. 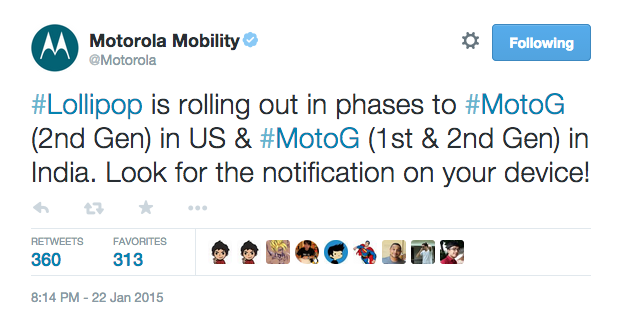 Well, friends, the update has started again, at least according to Motorola’s Twitter account. Last night, at 8PM Pacific, Motorola announced that the Lollipop update is rolling out “in phases” to the Moto G (2nd gen) in the US and both Moto G variants (1st and 2nd gen) in India. Be sure to jump into Settings>About phone to see. Let us know if it’s live!